506 E. Prien Lake Rd. Welcome to Honey B Ham and Deli! 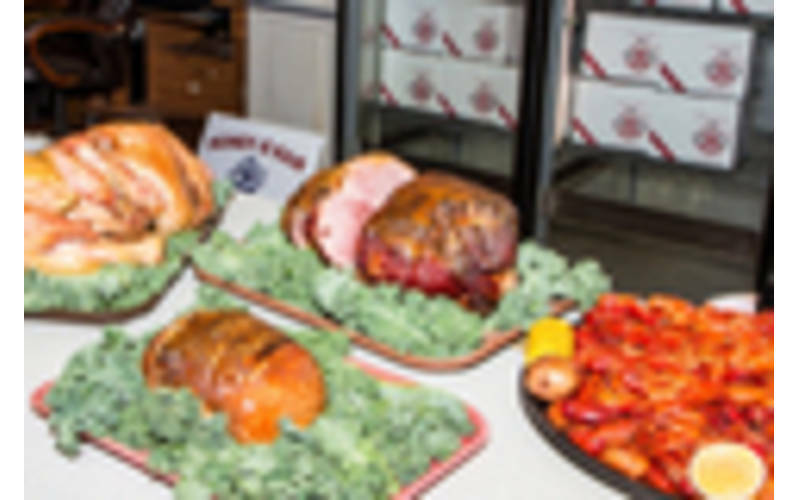 Located in Lake Charles, LA, Honey B Ham and Deli is known for our top-of-the-line hams and turkeys, as well as our superior customer service. Our goal is make sure the process of getting the ham or turkey you want from us to your table is simple and stress-free. Our Honey Glazed Hams are hickory smoked, spiral sliced and baked with a thick and rich honey & spice glaze. Ready for the table, our hams and turkeys make any occasion truly special. We choose only the finest meats, then carefully trim and slowly dry cure. Every ham is spiral-sliced around the bone to give you ready-to-serve, uniform slices.